What is the difference between fresh food and fresh (then frozen) diets? There are quite a few differences between truly fresh diets, and "fresh" diets that are purchased frozen. Like the food that you eat, frozen dog food can begin to lose nutrients with time. Food that is purchased or delivered frozen may have been frozen for any amount of time, over which it slowly loses nutritional value. Frozen is certainly different than fresh, and with any fresh diet you should be certain of how long it was cooked prior to being in your dog's bowl. When we set out to create the healthiest dog food possible, we made a commitment to convenience as well. We don't want pet parents having to choose one over the other! 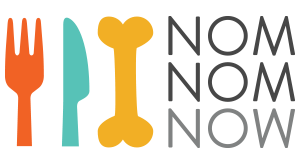 With truly fresh dog food from NomNomNow, you can have both.